Girlfriends, ditch the icky feelings, the fear, shame and embarrassment, and let’s start talking about bed bugs. We talk about baby poop, throw-up, infections, herpes, head lice, transmitted stuff, so talking about bedbugs shouldn’t be kept a secret. Face it girls, bed bugs are becoming and will continue to be as common as a flea or fly. We’ll all have to learn how to deal with them sooner or later. Cara just returned from Europe and arranged a “girl’s night out” at her house to hear all about her trip. They all congregated in her living room with snacks and a glass of wine. It was a great evening with lots of laughter and stories as they reviewed hundreds of pictures. One thing though; when Cara got home, ALL her luggage sat on and next to her couch for a few days before she unpacked. If you bring bed bugs back in your luggage, they will crawl off and eventually find you. Their survival depends on foraging to find regular blood meals. Within a couple of weeks, Cara discovered small itchy red marks on her neck and arms. She blew it off thinking it could have been the change in water or temperature. A couple more weeks went by and the marks continued. Never once did she think it could have been from bed bugs. Nor did she know much about bed bugs. It’s nearly impossible to the exact moment a bed bug hitched a ride on your belongings. However, researchers have found that even in the absence of a human host, bed bugs are twice as likely to end up in luggage with dirty clothes. So, not wrapping dirty laundry in sealed bags, increases your chances of going home with bedbugs. A week later, Cara’s girlfriend Linda [which came to her girl’s night out], was experiencing red itchy marks. And when the girls got together again, another girl admitted to experiencing the same thing! It only takes one female bed bug to start an infestation. But, infestations don’t happen overnight. Eggs have to be laid, time passes before they hatch, and they have to get regular blood meals. About a month later, when the third girlfriend admitted to having a similar experience, came that Aha moment. It was then, that each of them began checking for signs of bed bugs. One of them found little blood smears and the other two found nothing. It turns out, Cara did bring bed bugs home in her luggage which sat on her couch for days before she unpacked. Obviously, the bed bugs made their way out and off the luggage and into the cushions of her couch. Bedbugs have an “ick” factor that sends many people to the internet for solutions. Instead of reaching out to professionals, people spend their time behind the computer, in search of solutions and click on methods that distort real solutions. Before you know it, bed bugs have spread to other parts of their homes. Then the real fun begins! Bed bug “infestations” can cost a significant amount of money. Depending on the length of time you’ve had bed bugs, the environment, and amount of clutter, challenges and costs can differ. Knowing about bed bugs and their signs up front, helps keep you aware so you find signs as early as possible. If discovered early, they are much less difficult and costly to eliminate. Treating one room versus a whole home is far less expensive and time consuming. Understanding bed bug risks during any travel, is so important. Even if only a few managed to hitchhike, they can create infestations if not discovered early on. Smart people expect to run into a bed bug here or there and pack their belongings properly. We educate people on how to pack before a trip and on what to do when returning. If people follow this simple process, the likelihood of having bed bugs enter your home after a trip is eliminated. Know, you can always count on MassBedBugBusters to add to your best girlfriend list. 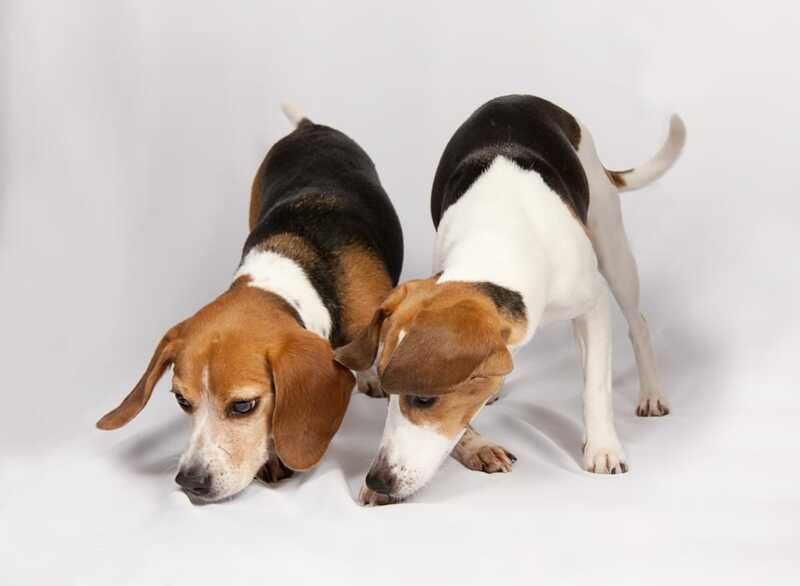 Our trained dogs will search and discover bed bugs in early stages, especially when your being bitten and can’t find them. We’ll also take the time to train you to understand bed bugs, your risks, and how to avoid them. So, before you take your next trip or if you just got back from one, call us so we can teach you how to pack before your trip or make sure you didn’t bring home a hitchhiker.